This adorable Disney Parks Exclusive Alice at the Mad Tea Party POP Ride will be released at Disneyland and Walt Disney World on Saturday January 26, 2019. 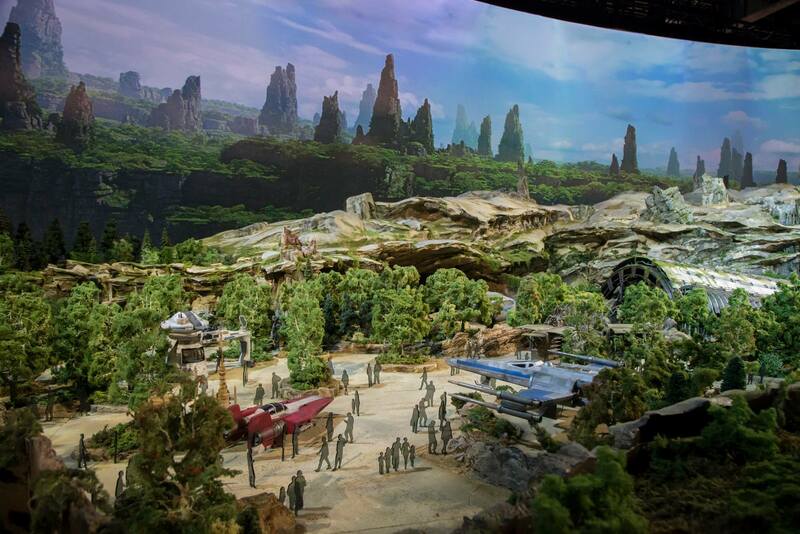 The Walt Disney Company has released a new behind-the-scenes video for the upcoming Star Wars: Galaxy’s Edge, an all-new set of attractions coming to both Disneyland and Walt Disney World in 2019. The video offers a first look at two of the new attractions, Rise of the Resistance and Millennium Falcon: Smuggler’s Run. 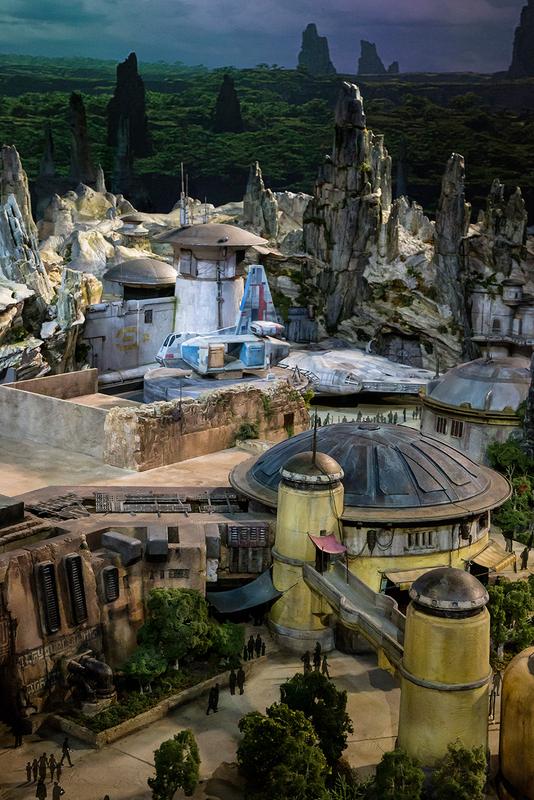 Both east and west coast versions of Star Wars: Galaxy’s Edge will allow guests to visit a remote trading port on the edge of wild space, where Star Wars characters and their stories come to life – and where guests will find themselves in the middle of the action. The lands will feature two major attractions that put guests in the middle of a battle between the First Order and the Resistance. Each attraction – and even the land itself – will offer guests the chance to immerse themselves in the Star Wars universe like never before. “Rise of the Resistance” will make guests feel like they’re on a Star Destroyer inside a hangar bay while “Millennium Falcon: Smuggler’s Run” will give guests the opportunity to fly the Millennium Falcon, piloting the ship, shooting blasters or preparing for hyperspace – all while completing a critical mission. But how you perform on the mission holds even bigger stakes: perform with skill and you may earn extra galactic credits, while bringing the ship back banged up could put you on the list of a bounty hunter. End up on Harkos’s list and you may face a problem if you show up at the local cantina! Guests will also encounter many familiar faces inside Star Wars: Galaxy’s Edge, including BB-8, Chewbacca, members of the First Order and – among many others – Rex, the troublesome pilot you may remember from Star Tours, who takes on a new role in this land as the DJ at the cantina. At the cantina guests will be able to try unique concoctions like blue milk. Nearby, they’ll also be able to acquire trinkets and treasures from across the galaxy. You won’t be buying ordinary Star Wars merchandise or T-shirts at the gift shops, but rather special figures and vehicles (like an AT-AT) built by Batuu’s female Toydarians. The toys are inspired by designs from films like The Force Awakens, Rogue One and The Last Jedi. 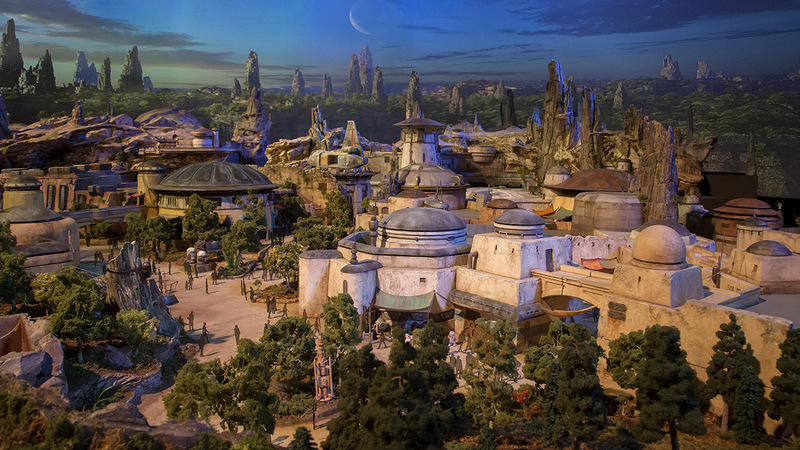 A Star Wars-inspired resort will also debut as part of the new Disney 360 vacation concept. This new vacation experience will be a living adventure that allows guests to immerse themselves in an entirely new form of Disney storytelling. Star Wars: Galaxy’s Edge will open in summer 2019 at Disneyland Resort and in late fall 2019 at Walt Disney World Resort. Splash Mountain fans get excited, you can now collect one of your favorite Disney Park attractions! 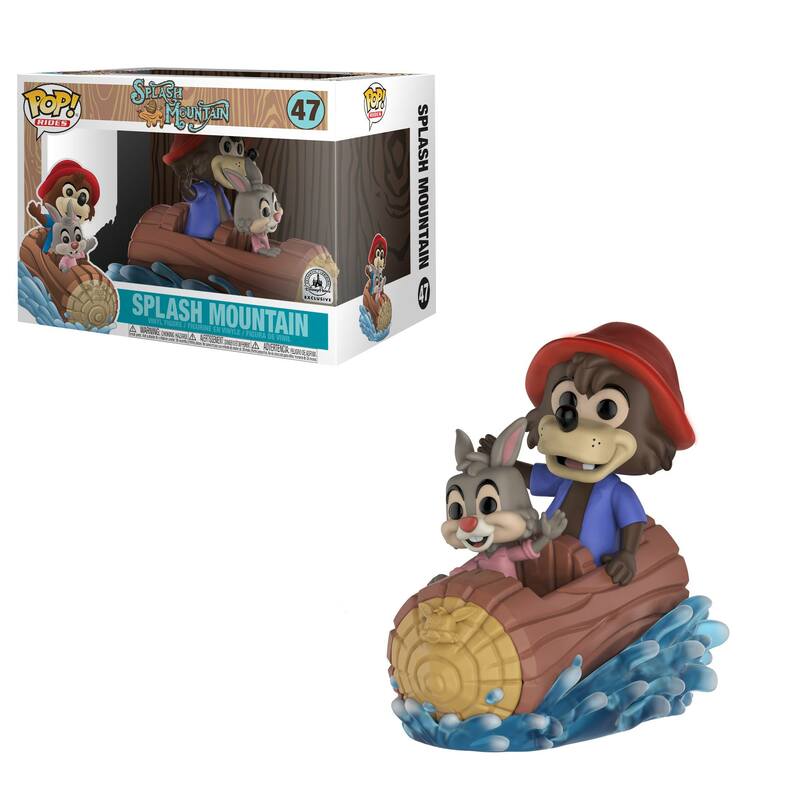 The exclusive Funko Disney Theme Park’s Splash Mountain Pop! Rides! will be available August 25th, 2018! Tagged Disney Parks, Funko, Splash Mountain Pop! Rides! Mickey Mouse is headed out on another intrepid adventure to celebrate his birthday with some of his biggest fans, and you can join in on the #HappyBirthdayMickey fun at all of our Disney Parks around the world. 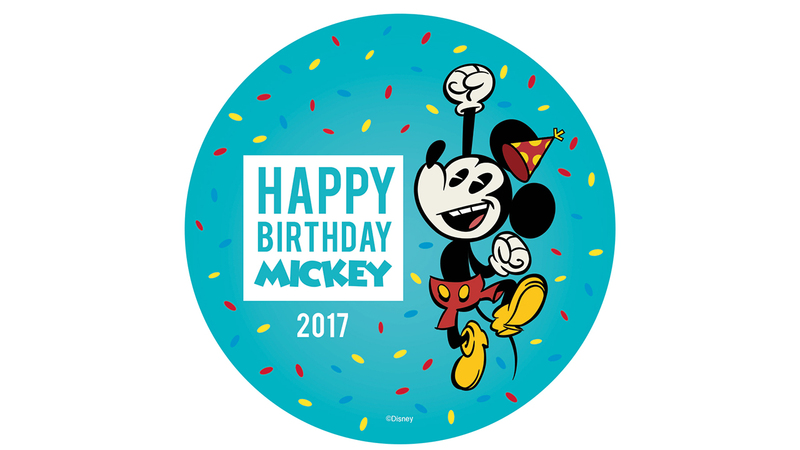 The big day is November 18, and Walt Disney World Resort will celebrate with special “Happy Birthday, Mickey!” buttons, merchandise and Sorcerer Mickey Cake. To commemorate the occasion, guests can sing and dance along with “Happy Birthday” during Move It! Shake It! Dance & Play It!, Cosmic Dance Party in Tomorrowland and performances by the Dapper Dans. Plus, birthday photo props will be available at all four theme parks, and everyone who collects their photos at the parks will receive a folder with a commemorative sticker. Disneyland Resort will host a celebration cavalcade for Mickey Mouse, featuring some of his special friends and the Disneyland Band, starting at “it’s a small world” and pausing for a special moment at Sleeping Beauty Castle before continuing down Main Street, U.S.A., to Town Square. There will be plenty of chances to sing “Happy Birthday” along the way, and of course, “Happy Birthday, Mickey!” buttons will be distributed to park guests. Main Street, U.S.A., at Disneyland Paris is also where the party’s at! Be prepared to celebrate Mickey’s birthday just before “Disney Magic on Parade,” as well as during the Lucky Nugget Saloon show at Disneyland park and in “Mickey and the Magician” at Walt Disney Studios park. And what’s a birthday without cake? Guests can find plenty to snack on at locations around the resort. Guests at Hong Kong Disneyland can pick up a special Mickey Birthday pin and a special edition Times Guide in honor of everyone’s favorite mouse. At Shanghai Disney Resort and Tokyo Disney Resort, guests will have the chance to sing “Happy Birthday” and join in unique photo opportunities. Leading up to the big day, Mickey Mouse will take off to exciting destinations such as Japan, Chile, Canada, China, England and the United States, sharing magical moments on Disney’s Mickey Mouse Facebook and Instagram pages. He will then bring a few more surprises when he visits the Good Morning America studios in New York City on November 15. Be sure to share your favorite moments using the hashtag #HappyBirthdayMickey and join us in celebrating the one and only Mickey Mouse! 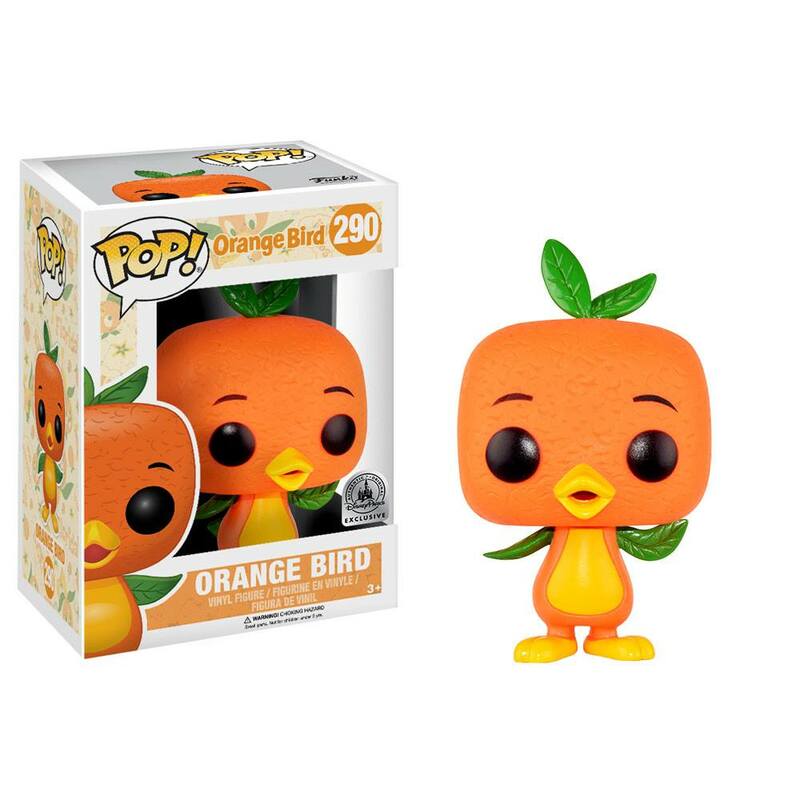 Check out the new Funko Pop! release, Orange Bird at the Walt Disney World Resort on September 08, 2017. The release will take place at Pin Traders at Disney Springs Marketplace and Pirate’s Bazaar at the Magic Kingdom. 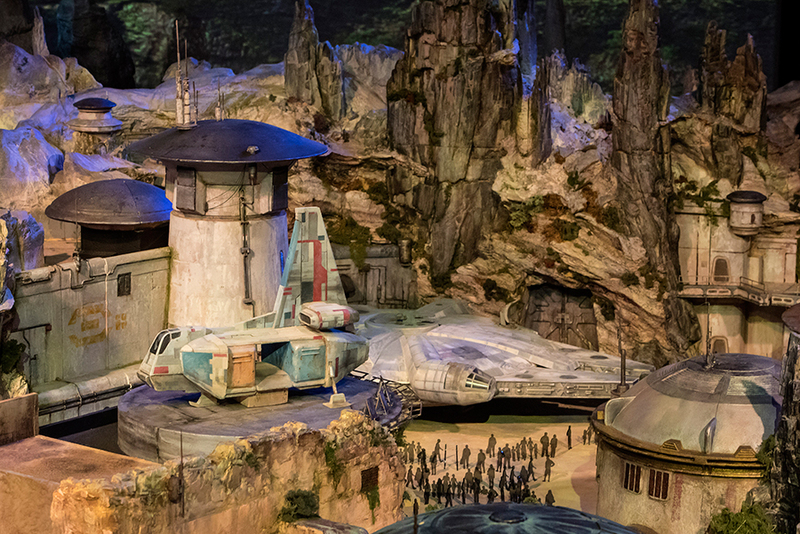 The first detailed look at the model of the new Star Wars inspired land was unveiled at the 2017 D23 Expo. 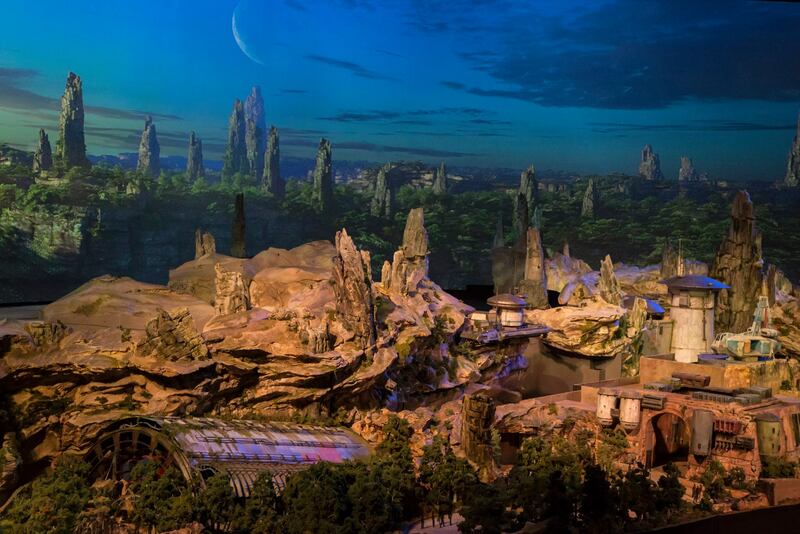 The new attractions at Disneyland and Walt Disney World Resort will transport guests to a never-before-seen planet, a remote trading port and one of the last stops before Wild Space, where Star Wars characters and their stories come to life. Here, guests will find themselves in the middle of the action at two signature attractions: one that lets guests take the controls of Millennium Falcon on a customized secret mission, and an epic Star Wars adventure that puts guests in the middle of a climactic battle between the First Order and the Resistance. 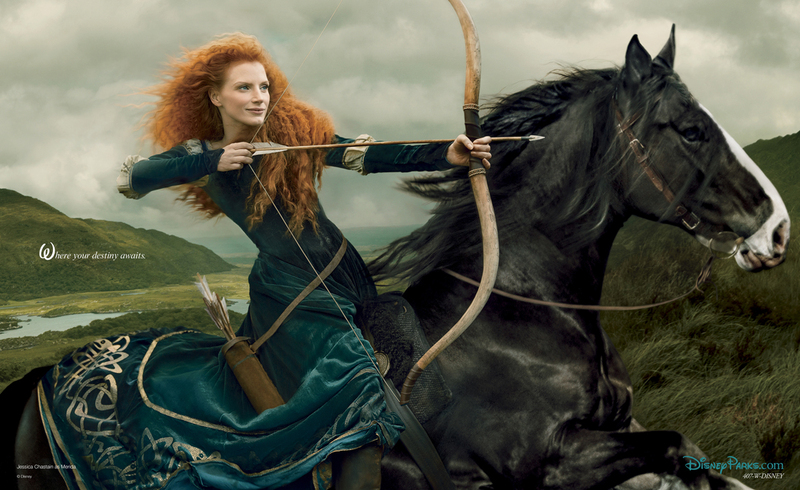 As part of Disney Dream portrait campaign, Annie Leibovitz took this photo of Jessica Chastain as Merida from the Pixar film “Brave.” Out of all the Disney characters, Merida is probably Chastain’s favorite, as she takes her destiny in her own hands. From the moment Avatar was released, people were captivated by the mythical world of Pandora. When Disney Parks announced that they’d be working with James Cameron and Lightstorm Entertainment to bring this world to life in their parks, the company felt certain that this partnership and combination of talent and imagination would produce an experience unlike any other ever created. The combined team has taken huge steps forward in “imagineering” Pandora as a real place for our guests to see, hear and touch. At the first-ever D23 Expo in Japan, Disney shared an early glimpse of the plans for Avatar at Disney’s Animal Kingdom park which is slated to open in 2017. As these concept renderings show in epic scale, in the world of Avatar guests will encounter awe-inspiring floating mountains and wander through a nighttime jungle of bioluminescent plants that are alive with light and sound. Guests will also discover what it feels like to soar into the sky riding a Banshee. And the new Avatar-inspired land won’t be the only change coming to Disney’s Animal Kingdom. 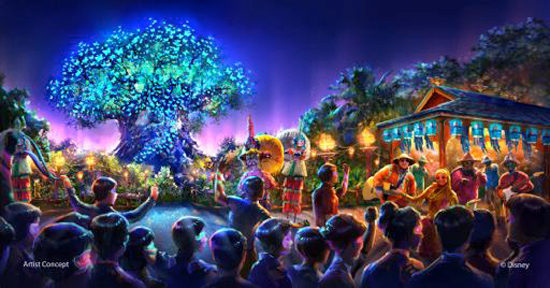 As part of the largest expansion in the history of the park, Animal Kingdom will be adding all-new entertainment experiences, including a new nighttime spectacular where live music, floating lanterns, water screens and swirling animal imagery all combine to bring a show to Discovery River that will delight guests and truly cap off their day at the park. More nighttime entertainment will be added including live performers on Discovery Island and a new nighttime version of the Kilimanjaro Safaris. I love this new Star Wars themed ad for Disney Parks for their 2014 campaign, “Show your Disney Side”! Disney just launched a new destination DisneySide.com. At the site, you’ll be able to share your own Disney side with the world and see what’s being posted and talked about online. You can also share with the hashtag #DisneySide across our social channels, including Twitter, Vine, Instagram, Google+ and Facebook.